Intrigue and engage your little one with the colorful, curious Skwish Classic. Designed by Manhattan Toy, the Skwish appeals to your baby’s visual and tactile senses, making this sophisticated toy a source of wonder and learning. Measures 5.5″ diameter. 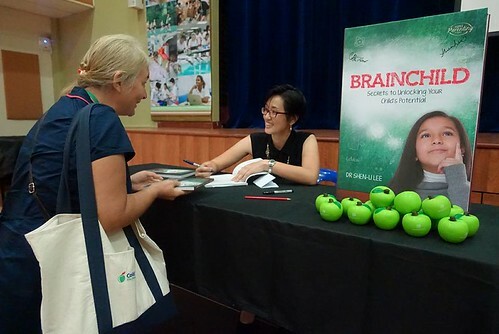 At birth, the brain of a baby resembles an ape more than it does the adult brain. “After birth, the human brain grows rapidly, more than doubling to reach 60 percent of its adult size by the time the tot is sampling his first birthday cake. 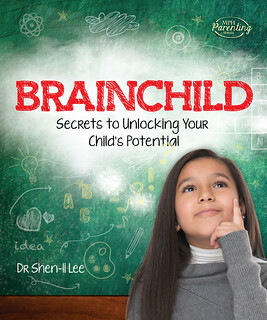 By kindergarten, the brain has reached its full size but it may not finish developing until the kid is in his mid-20s”. A great way to retain that early creativity is to develop the right brain in conjunction with the left brain with whole brain development. This is also the reason why babies can learn even when they do not appear to be paying attention. In right brain development, Pamela Hickein talked about directional learning, peripheral learning and 360 degree learning. Only babies and young children are capable of all three, while adults are directional learners. When babies start babbling, they are indicating an interest to learn. Talking to babies makes them smarter. 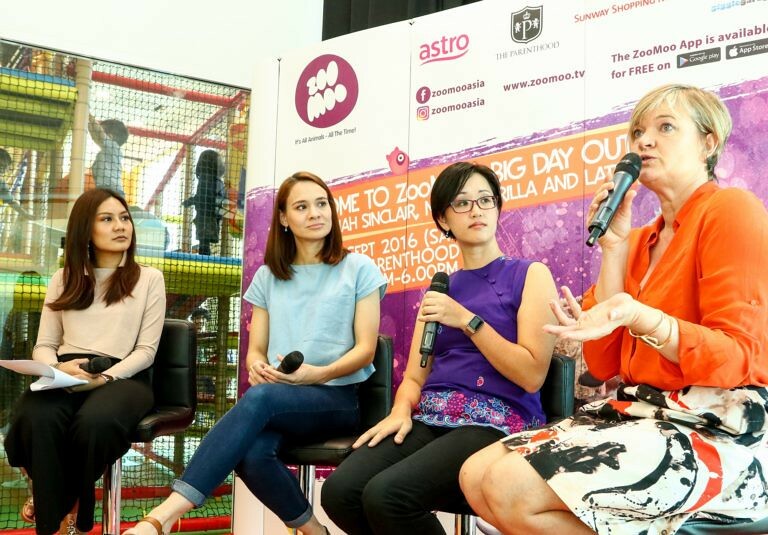 “Language development can be sped up when babies are responded to 80 percent of the time. Beyond that, however, learning declines. Parents also naturally “raise the babble bar,” by slowly responding less to sounds they have heard a baby make many times (like “eh”), but excitedly repeating a new sound that comes closer to a word (such as “da”. )” This helps babies piece together sounds that are important and thus develop language skills. This is because babies respond to things that respond to them. Being able to calm down and sleep may enhance skill development in babies 12 months and older. Children find it harder to distinguish voices from background noise which is why they don’t necessarily respond to adults talking to them. This is also why it is important not to have music or TV constantly running in the background. According to Doman, babies have the ability to recognise quantities without counting. It is easier for a baby to learn the rules of Math and if they are given the opportunity in the right environment, they will. As they grow older, they begin to lose this ability. Doman and Shichida both believe it is easier for your child to learn Math when he is a baby than when he is of school going age. As your child goes through school, he will eventually have to learn Math. He also needs basic Math for everyday life when he grows older. The fact is, Math is one of those subjects that he cannot escape. Since he needs to learn it, doesn’t it make more sense to teach it to him when it is easiest for him to learn it and at a time when he wants to learn it rather than wait until he’s older and hates having to learn Math? 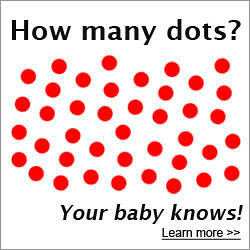 So if you’re going to teach your baby Math, Doman recommends using the red dot card method. Expanding on the red dot card method, Shichida came up with the 65 Day method. Then BrillKids came up with Little Math, which is a computer program that takes Doman’s Math program yet another step further. Face to face – parent and child are face to face when you use the flashcards. Parent’s voice provides extra bonding rather than listening to a recorded voice. Fiddly – handling the cards can be cumbersome, especially when your baby grows older and starts to get more mobile. Older babies may grab at the cards and want to play with them. Need to arrange the cards in readiness for the next session. Full year program pre-loaded. No lesson planning required before hand – unless you specifically want to teach your child something unique. You can run each lesson with the click of a button – no further preparation required. Flashcards are shown at random each time, so no shuffling required. There is more variety to the objects shown. Instead of representing quantities with red dots, you can have apples, planets, a baby’s face, etc. Different lessons show the quantities randomly scattered and ordered in different arrangements (e.g. in a grid). Although Doman believes this isn’t necessary, Shichida encourages it. Program records where you are up to so you know what you have taught even if you take a break from the program. Easily customised – if you want to make it more personal, you can use a picture of your baby’s face, or members of the family as the individual objects. I used Thomas characters for my older son and Mickey characters for my younger son. You can use your own voice recording if you don’t want some random voice saying the numbers. When your baby grows older and begins to be distracted easily by other objects, you can dim the lights to help your child focus on the flashcards. You can hold your baby while showing him the flashcards (you can even nurse him, if he’s still breastfeeding!) and this is very hard to do with physical flashcards. The basic Math program costs US$159 which is cheaper than the RM1000++ I paid for the Doman math kit. If you purchase the Doman math kit from Gentle Revolution, it costs US$59.95 for the basic program (before shipping). I don’t know how much shipping charges are but it will be costly because the cards are very heavy. Run on the computer so no face-to-face element. 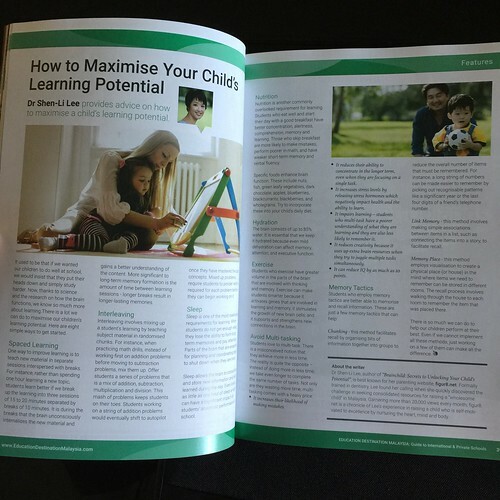 For a comparison of the Doman reading program versus Little Reader, read my article: “How to Teach Your Baby to Read – Glenn Doman versus Little Reader“. Want to teach your baby to read? Which kit should you get – the original Glenn Doman reading kit or BrillKids Little Reader? Face to face – parent and child are face to face when you use the flashcards. It is said that babies learning to form words need to see lip movements. Font size – bigger than what you will be able to show on a computer screen. No pictures – words for objects that a baby has never seen before will be meaningless, unless you are using the kit on an older child. Flashcards can be shown with pictures or just the words only. A variety of pictures are shown to illustrate each word. For instance, there are three different pictures of dogs to show what a “dog” is. You can view video clips and listen to sound clips to provide a multi-sensorial approach to learning. For instance, your child can listen to a dog barking for the word “dog”. Easily customised – you can add your own pictures to make the flashcards unique to your child. For instance, you can take pictures of family members to illustrate words like “aunt”, “brother”, “father”, etc. You can add content to the program to expand your child’s reading vocabulary, introduce unique words that interest your child that aren’t included in the curriculum. It incorporates a phonics program so your child gets the best of both worlds – whole word and phonics. The deluxe program costs US$399 (basic program is US$149) which is cheaper than the RM1700++ I paid for the Doman reading kit. If you purchase the Doman reading kit from Gentle Revolution, it costs US$92.95 (before shipping). I don’t know how much shipping charges are but I’ll wager it costs an arm and a leg because the kits are very heavy. Run on the computer so no face-to-face element. However, the new deluxe kits come with hard copy flashcards as well to address this issue. And now for a limited time only (until October 14, 2010), you can get Little Reader at 10% off. Coupon code: BKAFF36716. There is a very interesting video on TED about how babies learn to speak new words. It is given by Deb Roy who directs the Cognitive Machines group at the MIT Media Lab, where he studies how children learn language, and designs machines that learn to communicate in human-like ways. In this talk, he tells us how he wired up video cameras into every room of his home so they could record the natural daily interactions in his son’s life and from the data understand the process of how a child learns language. This is part of a project called The Human Speechome Project. Unfortunately, they Deb Roy doesn’t really say as much about a child’s language acquisition as I had hoped for. His motivation for understanding how humans learn stems from his work on designing machines that area able to communicate in human-like ways. What was pretty cool, though, was the part where they condensed half a year into 40 seconds to show how his son went from “gaga” to “water”. It occurs at about 4 minutes and 20 seconds into the talk, if you want to listen to it. Only the first part of the talk is relevant to how a child learns to speak. In the second part, he goes on to talk about the relevance of this information to mass media. If you want to read more about Roy’s research on a child’s linguistic development, he has some publications listed at the The Human Speechome Project. Can Babies Really Learn Math? When Gareth was 3 months old, I started him on Doman’s Math Program. He has gone through cards from 0-100, and learned addition, subtraction, multiplication and division. Although Doman advises against “testing” children because it can put them off learning, you can indirectly test your baby by giving him problems to solve in a fun way. In his Math program, Doman introduces the problem solving segment fairly early. I, on the other hand, didn’t give him any problems to solve until about three days ago. On day one, I asked him to give me the answer to three random equations (stuff like 23+13, 48-22, etc.). After each question, I would show him two consecutive dot cards and ask him to point to the correct answer. He got them all right. On day two, I gave him three more Math problems. He got them all right, again. On day three, I gave him yet another three more Math problems and he answered them all correctly. That’s nine Math problems – all answered correctly. The probability of it being a fluke is very low – it’s 1 in 512 chances, or 0.2%. Can babies really learn Math? Yes, they can. I know I’ve been writing about early childhood education and Doman teaching programs for a while but I have to confess that part of me had doubts about whether I could teach Gareth to recognise the dot cards. I am a little relieved to see that my efforts have not been in vain. I have no video evidence nor do I intend to make any because I feel the presence of a camera adds pressure for Gareth to perform. I made the mistake of applying that pressure on Gavin and only succeeded in putting him off a lot of things so now I’m careful not to make the same mistakes with Gareth. You will just have to take my word for it that he can do Math. The only reason I am recording this is so that other parents who wondered as I did whether Doman’s Math program is worth while or just a big waste of time, might be inspired to keep going with it. There is a parent on youtube who did record her child’s progress, which you can see below. The ability to perceive quantities is said to be present up until about 3 years of age. The Doman staff I purchased the Math Kit from recommend the Math program only for children age 3 years and below. Despite that, I tried doing the program with Gavin anyway since he was already 3 years old by the time I got my hands on the kit. Sadly, Gavin is still unable to perceive quantities and must physically count things. I do think there is some individual variation, so even if your child has already turned 3, you may still want to give the program a go because I have read about one mother who successfully taught her child to recognise quantities from age 3 onwards. Unfortunately, it didn’t work with Gavin. So it looks like we’re going to have to figure out another Math program that will work for him. There are currently two programs we’re looking at – SEE’s method (thanks to FZ for sharing it with me) and the Japanese Abacus Anzan method. I’ll be writing more about both methods soon so stay tuned. Both my sons love water. They have ever since they were newborns taking their first baths. Is the love for water instinctive in babies since they’ve been swimming around in the uterus for the last nine months? I would have thought so if it weren’t for my god daughter who hated taking baths so much that her parents had to put her in fully clothed and slowly take off her clothes while she was sitting in the bath tub. Then again, is it a dislike for water, or just taking a bath? With Gavin, we were rather cautious about taking him swimming in public pool and didn’t make a trip out there until he was one year. By then, he had developed all sorts of fears – as all one-year-olds do – and only wanted to play in the shallow end of the pool. He didn’t like any part of the pool where his feet couldn’t touch the ground, and he didn’t like getting his face wet. If you’ve read Glenn Doman’s book “How to Teach Your Baby to be Physically Superb“, he says that babies are born to swim. In fact, they have a swimming instinct that is maintained for the first six months of life – they naturally hold their breath under water and they instinctively move their arms and legs in the water. If you capitalise on this instinct, you can teach a baby to swim. (N.B. Before you run out and throw the baby into the deep end of the pool, make sure you learn more about this and how to teach your baby to swim safely – you can start with Douglas Doman’s book “How to Teach Your Baby to Swim“).